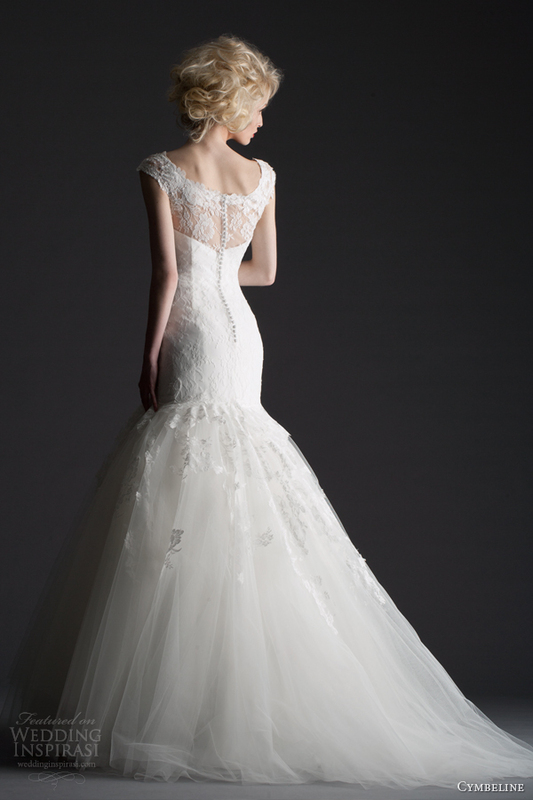 Cymbeline says “Je t’aime” to all brides with a bevy of beautiful gowns guaranteed to sweep you off your feet. Entitled “Je Vous Aime” (I Love You), the 2014 collection from the French bridal powerhouse is an alluring mix of old Hollywood glamour and timeless Parisian chic. We love the silhouettes presented in this collection: inventive yet refined and graceful, they provide the perfect canvas for the fabrics (which include the finest Chantilly and Calais laces) to shine. Above, Hope strapless ball gown with tiered skirt; below, Hada strapless lace ball gown. Honda lace gown with detached long sleeves. Hindi Hostra strapless lace sheath with over skirt. Houps strapless ball gown with high to low hemline. Hedwige one-shoulder gown with ruched bodice. Hema cap sleeve fit and flare gown. 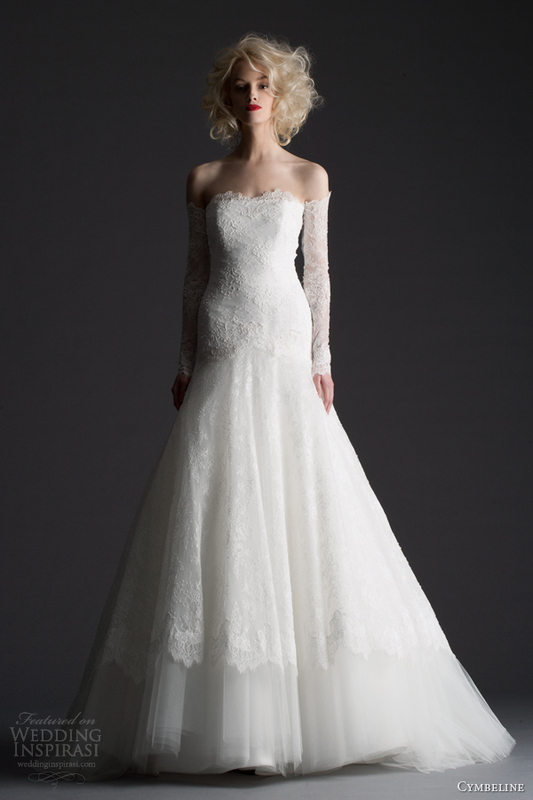 More gorgeous Cymbeline wedding gowns on the next page.